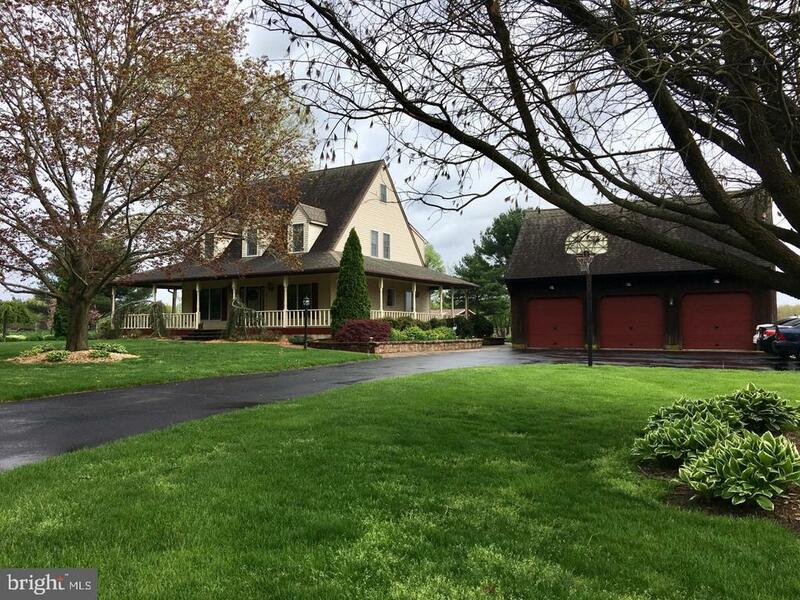 All Wrightstown homes currently listed for sale in Wrightstown as of 04/22/2019 are shown below. You can change the search criteria at any time by pressing the 'Change Search' button below. If you have any questions or you would like more information about any Wrightstown homes for sale or other Wrightstown real estate, please contact us and one of our knowledgeable Wrightstown REALTORS® would be pleased to assist you. "An Opportunity like this comes around once in a lifetime. 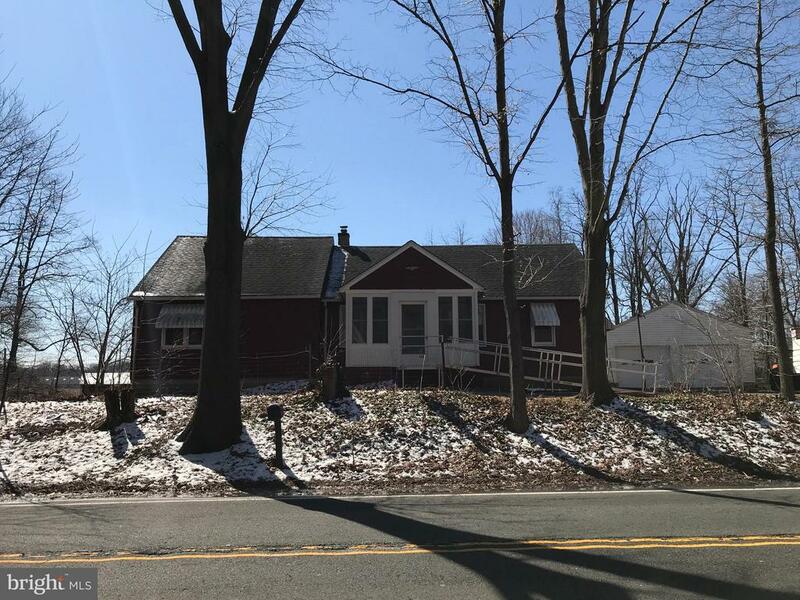 An undeveloped 99+/- parcel of land that is presently farm assessed with 48 acres of tillable land along with 40+/- wooded areas.This property is located in North Hanover Township which has one of the lowest taxes in Burlington County. 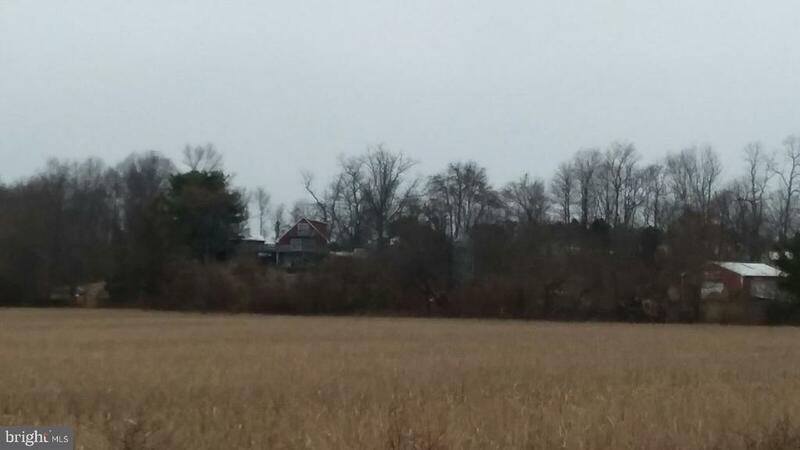 The Property consists of 4 lots equaling the 99 acres with Subdivision possibilities on the property. The two front fields are presently being farmed. The soil is mostly sandy loam, all rated as prime NJ soil. There is a small irrigation pond on the south-west of the property with a 4 inch drilled well feeding it. There are also several free running springs in the wooded portion of the property, southeast of the house site. The woods was historically referred to as the Cold Springs Woods. 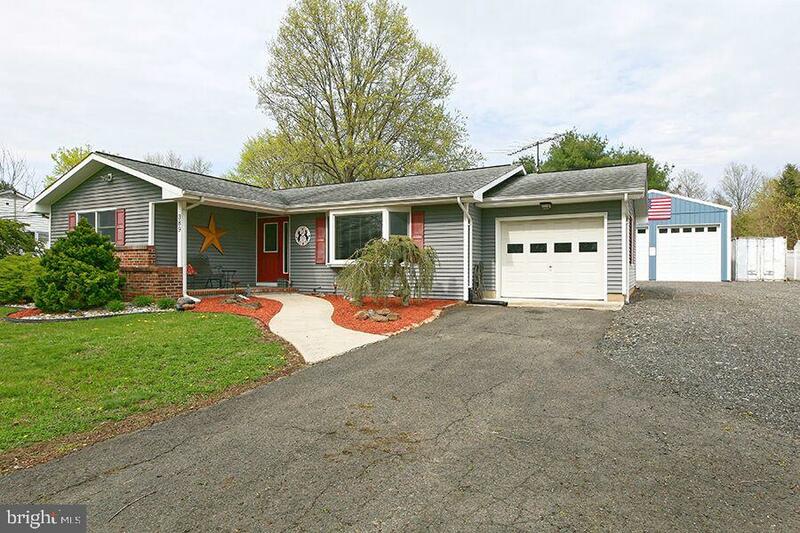 The 1/2 mile driveway leads to a 4 bedroom, 3 full bath custom built colonial which is surrounded by the wooded area. (Home is being sold AS-IS but is in good condition.) 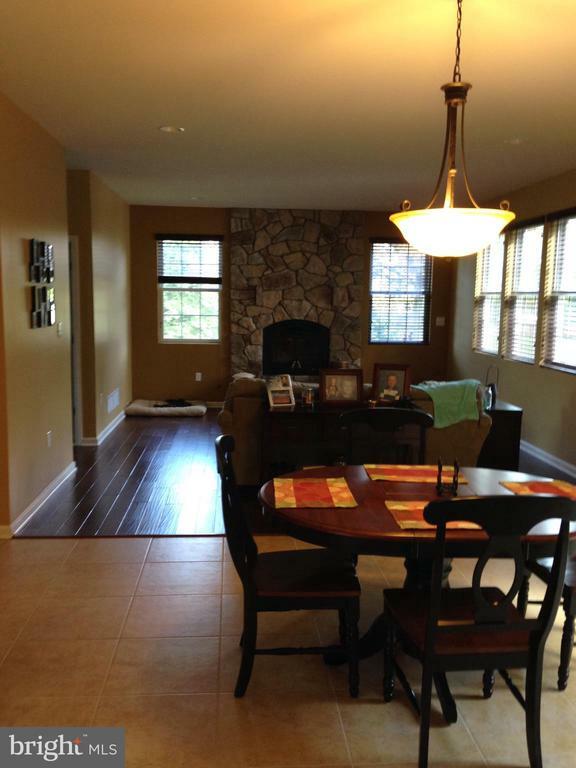 The home has an open floor plan with Hardwood floors throughout. The First floor has Living room, dining room, kitchen, 3 bedrooms and 2 baths. The lower level offers a family room with bar and brick fireplace, plus 2 additional rooms and a full bath. The rear deck has beautiful views of the surrounding nature for miles to see. 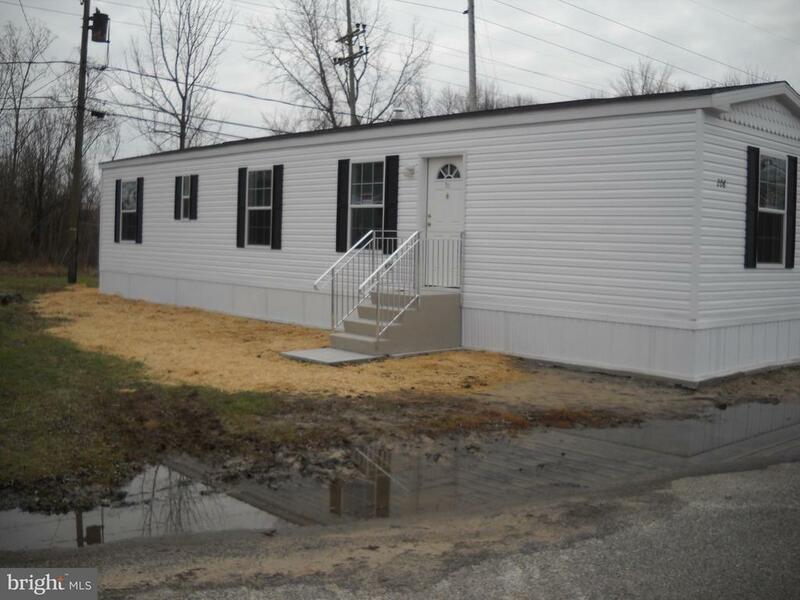 The seller will not accept a contingency allowing for obtaining approvals to subdivide. Please do not enter property without an appointment." "Amazing homestead has everything you need. 2.3 acres of lush lawn and gorgeous landscaping set the stage. The wrap around porch is wide and inviting and opens to the center hall which is flanked by the formal living room and dining room. Cozy kitchen with quartz, Silestone countertops and plentiful storage opens to a breakfast area- great sight line to the family room. A fireplace accents this room. The full bank of windows and doors to rear patio add to the flow and beautiful views of the surrounding countryside. Upstairs is a large master BR with en suite plus a full staircase to a huge attic area waiting to be converted to additional living space if you wish. Two additional bedrooms and another full bath complete the second floor. Lower level is finished into gaming room and private office space. Outside you will find loads of parking leading to a three car garage with workshop PLUS a full staircase to a huge second floor. Solar panels on the back of the garage lower costs and do not impact the views. WANT MORE?? A detached barn has room for 2-3 stalls so you can bring your horse, goats, or chickens. A good sized fenced pasture provides just enough space. Property is surrounded be farm preserved land." "What a way to start/end your day! This property has a wrap around porch that overlooks the acreage, perfect for relaxing and taking in some fresh air. This property also includes a 30x40 Barn which also has electric, water and heat. This is a Fannie Mae owned property." "Welcome Home! 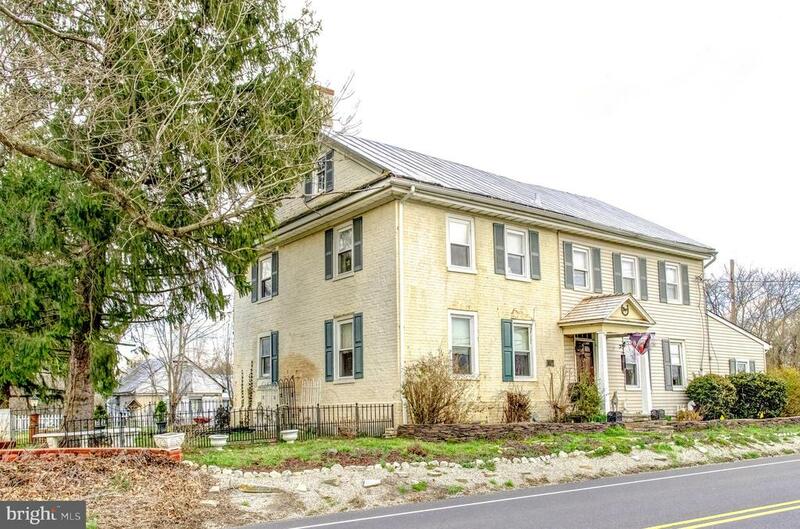 Opportunities awaits, Unique offering of 6 acre +/- historic farm.Circa 1850 4 Bedroom 2 1/2 bath Colonial Home with Large Barn/Garage and 1 outbuilding.Many Possibilities? Contractors, Landscaper, Gentlemen Horse Farm ? Land may be sub dividable, buyer must complete their own due diligence with verifying all information including measurements." 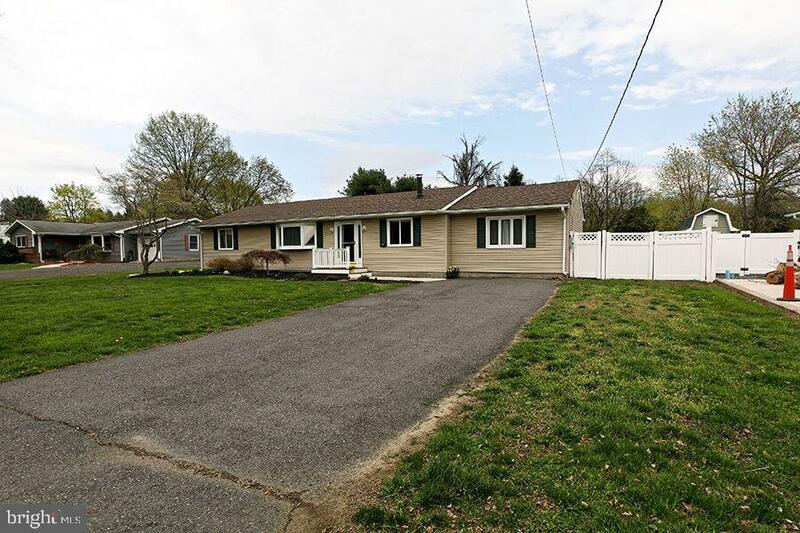 "Remarkable home with so many opportunities for success. 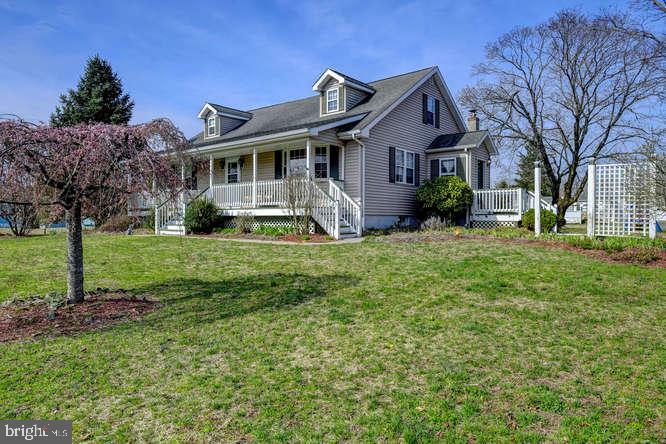 This 4 bedroom cape also has two full baths, second floor laundry, country kitchen/dining room with wood stove, a spacious living room and a front porch great for watching the world go by. This home also feature a full basement which is finished with 3 room, full kitchen, full bath, and another laundry, perfect for in-law or business with separate entrance as well as in home entrance. The detached Garage/barn is ready for your cars or business growth. There is also a storage shed for you gardening/lawn care tools!! A perfect spot to succeed!" 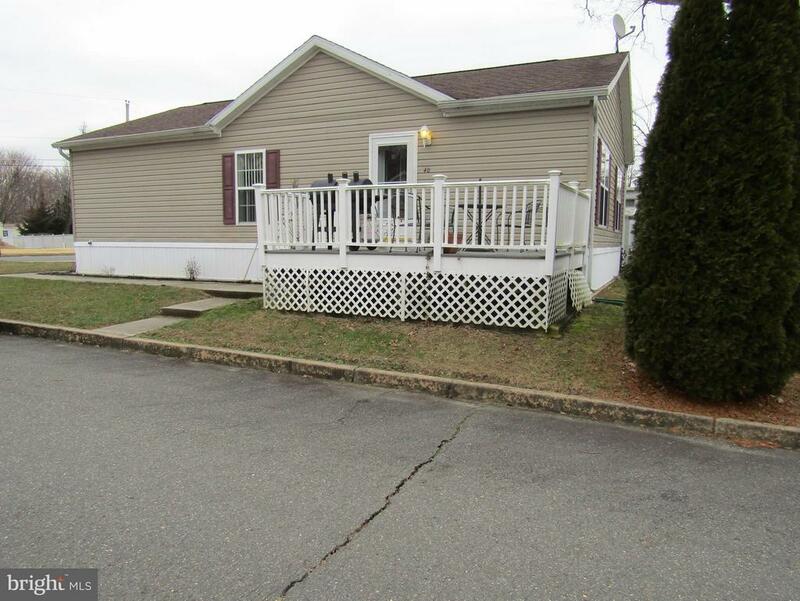 "Great Location, good bones! Ranch needs a little updating but easy to make it the beauty that it once was! Make your appointment today! 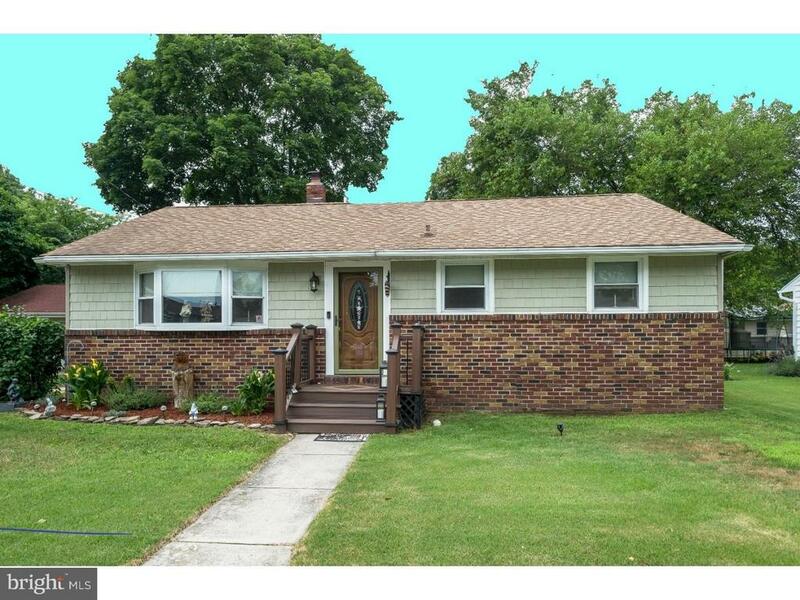 As Is Sale"
"Beautiful 3 Bedroom Rancher offering one Floor Living at it's Best!! 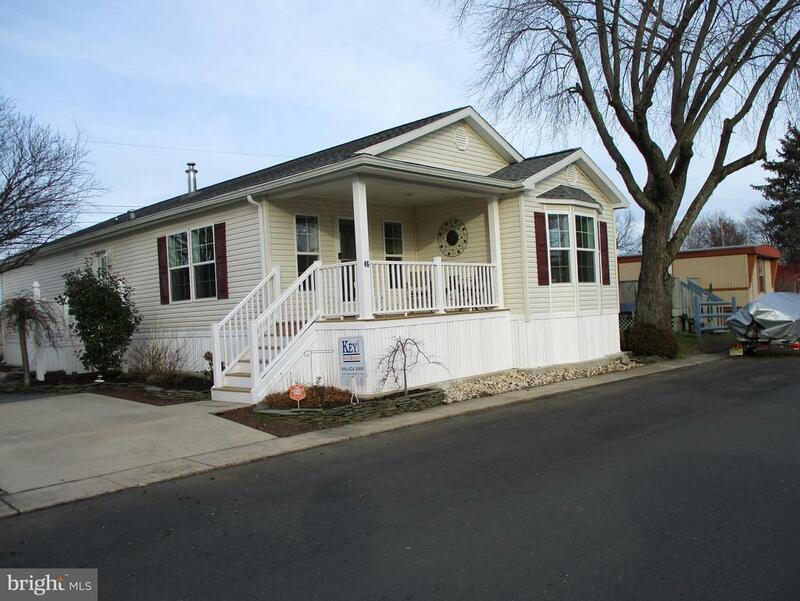 This Home has been Nicely Remodeled with well Crafted Upgrades that are sure to Please. The Newer Country Kitchen is Gorgeous and Perfect for Entertaining while your Rear Deck Features a Canopy, Hot Tub and Private Setting for those Relaxing Evenings. The Spacious Main Floor Laundry Room offers Convenience and is Complete with Stackable Washer/Dryer, and an Over Sized Pantry with Additional Cabinetry. Additional Amenities Include Fenced Yard, Front Trex Landing, Newer Roof, Attic Storage with Pull Down Stairs and Two Storage Sheds. This Home is the one your Buyer has been Waiting for, and IS the Best Buy in Town. A Great Place to call Home !!" "3 bedroom ranch in Springfield. 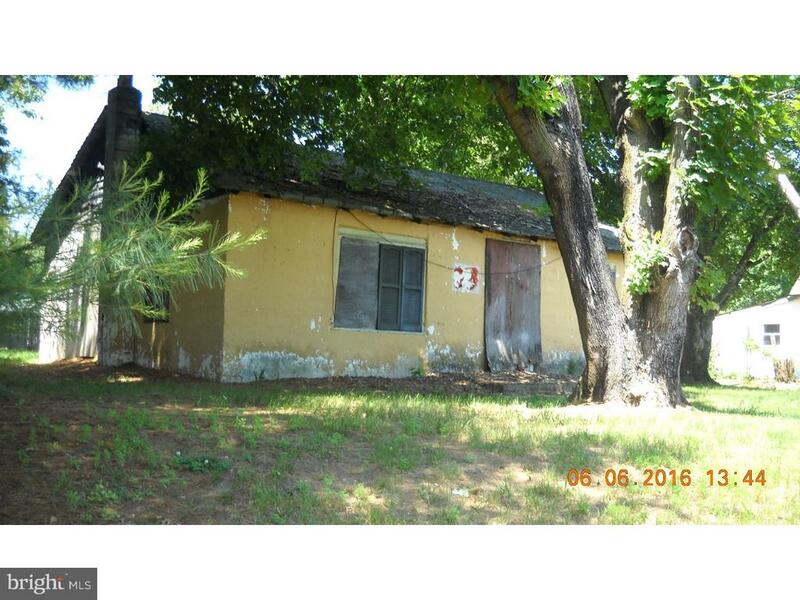 Home needs TLC excellent opportunity to acquire a home in an great location with great schools. Located within 3 miles of the Mega Base Mcquire. Close to major highways Rt. 206, 295, NJ. Turnpike and Rt. 130. 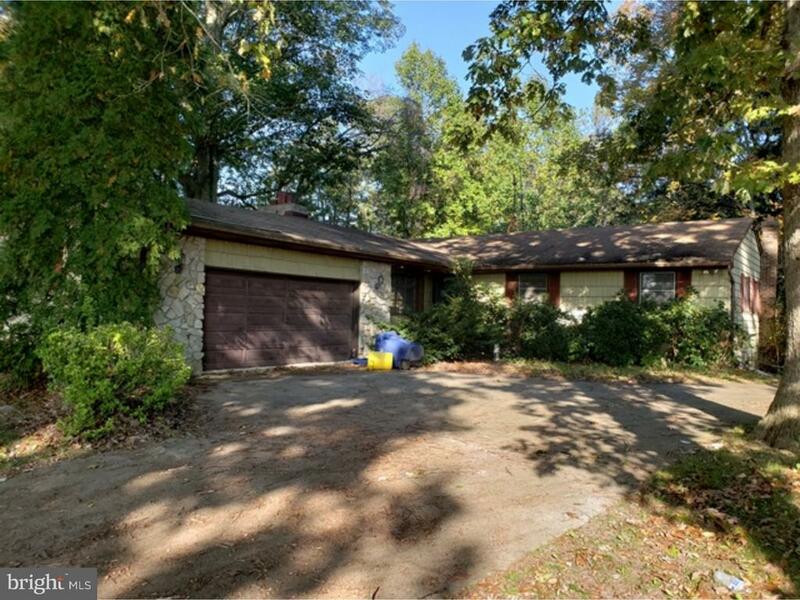 Property sold as-is, buyer responsible for CO"
"This home is 7 years young, and Beautiful tiger wood hardwood flooring in living room, dining room and hallway. Recessed lighting. Don't forget the coat closet in living room and linen closet in bathroom for your storage needs. Includes window treatments and appliances, including dishwasher, garbage disposal, electric stove, washer and dryer only 2 years old. Glass front door, trex decking on front porch, side door leads to brick patio. Shed in back for storage, newer white vinyl fence. Counter Height sinks in master bathroom, large closet with organizers in master bedroom. Fireplace is negotiable. This house has it all and all you do is move in and enjoy. Bring all offers and make your appointment today." 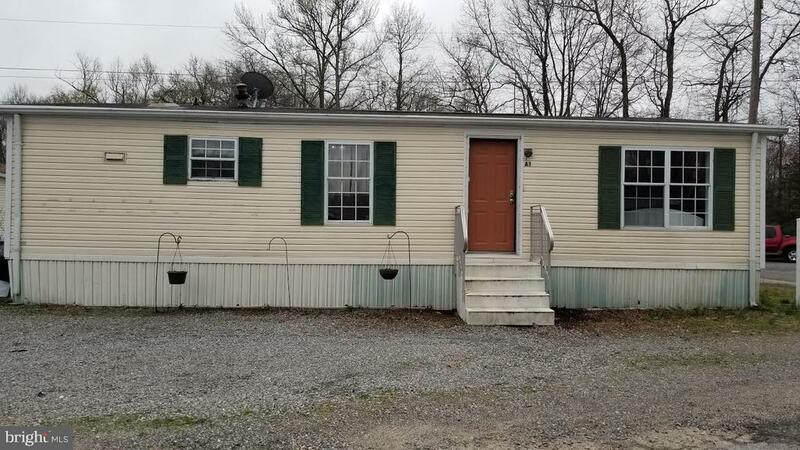 "Exceptionally nice mobile with hardwood flooring in LR and DR. Large kitchen boasts Cherry cabinetry, breakfast bar,Corian counters/w double sink. Stainless Steel Appliances, recessed lighting, Main bath with cherry accents. Master bedrooms features a walk in closet and full private bath with double shower. The second bedroom is currently an office and has a walk in closet. Large laundry room off kitchen with outside access to yard and shed. Plenty of storage and large maint. free deck for grilling or oudoor gatherings. Hurry ! it won't last." "This is a new 2019 home. It will be Titled by Motor Vehicle, and Buyer is responsible for sales tax at Motor Vehicle. Kitchen includes refrigerator, dishwasher and stove. There is also a concrete slab for a shed if needed." "Value in the land about .26 acre. Old block home boarded up for years is a tear down. NO ACCESS TO BUILDING. Make all offers known."